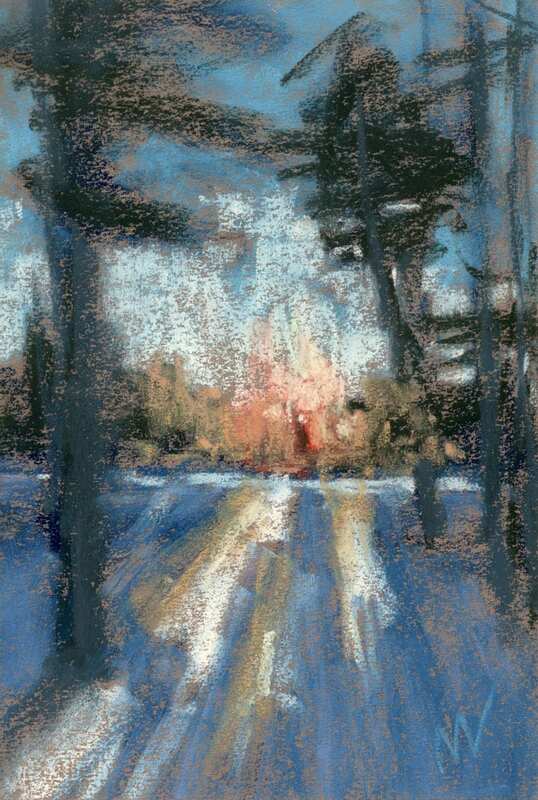 “Through a Screen of Pine” 9×6″ pastel on paper by Marie Marfia. Available $110. 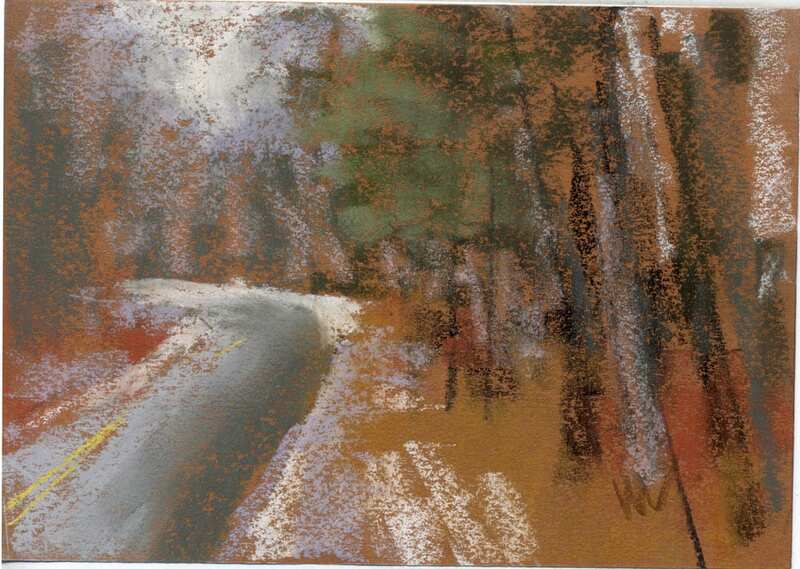 This is a painting from my walk in the woods today. 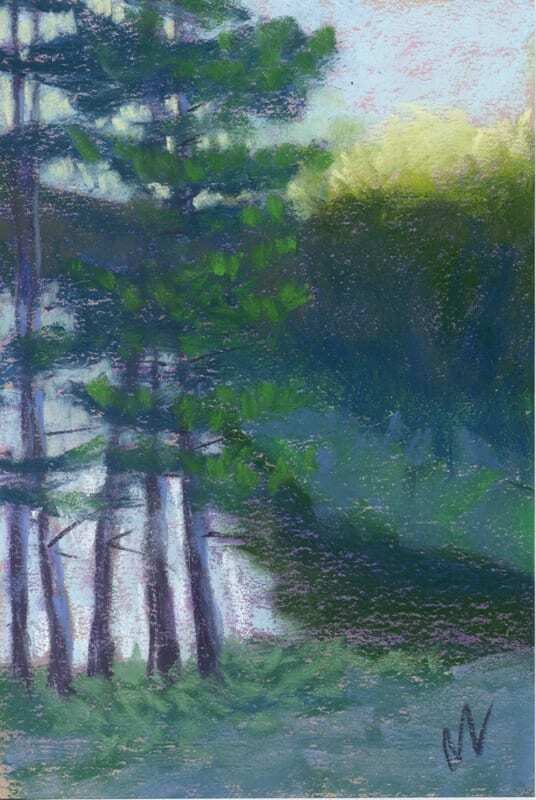 I had turned a corner and was struck by the patterns of light and shadow through a screen of pine boughs. I love the way the branches swoop down over the tree in the background. Love living here and walking in the Manistee National Forest every day. This painting is available for purchase! Click here to go to my webshop. Like my stuff? 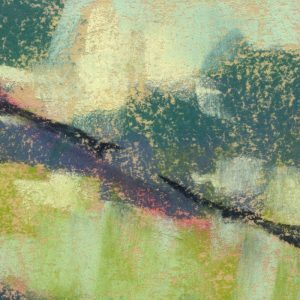 Sign up for my newsletter on the right or at the bottom of this page and get more of my art right in your inbox. Thanks! 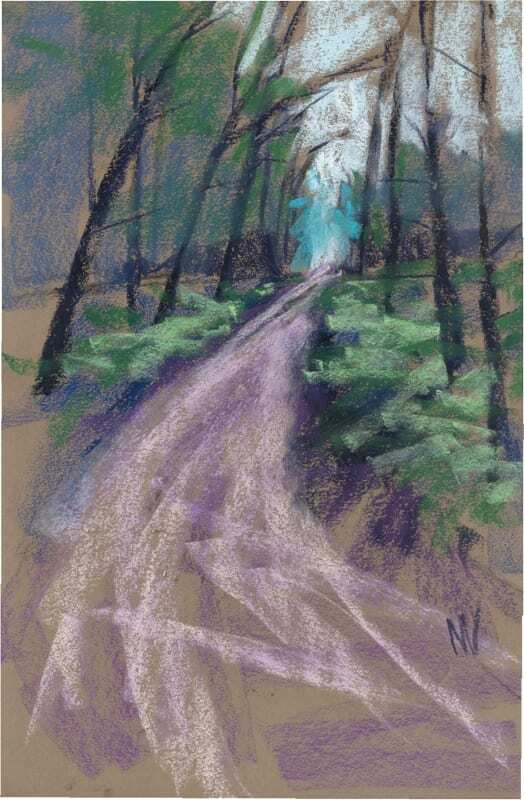 This entry was posted in A pastel a day, Landscape, Manistee National Forest, painting a day, Pastels, Woods scape on September 7, 2018 by Marie Marfia. 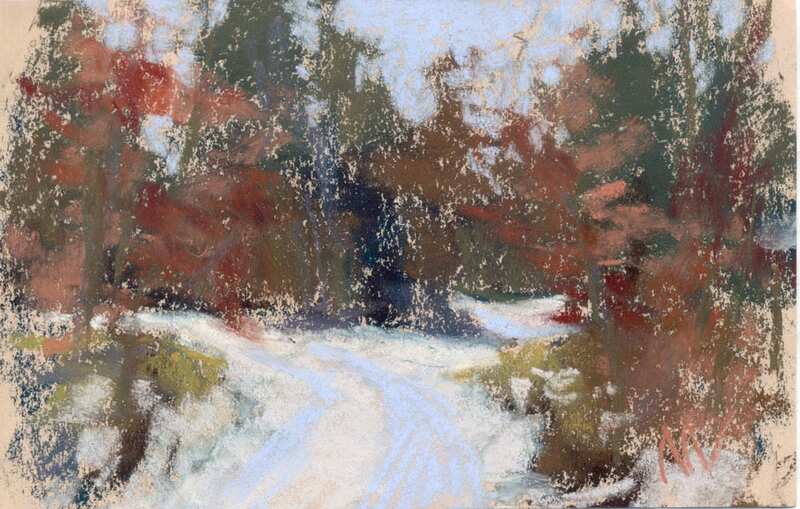 A Walk in the Woods, 18×12″ pastel on paper. Available $210. 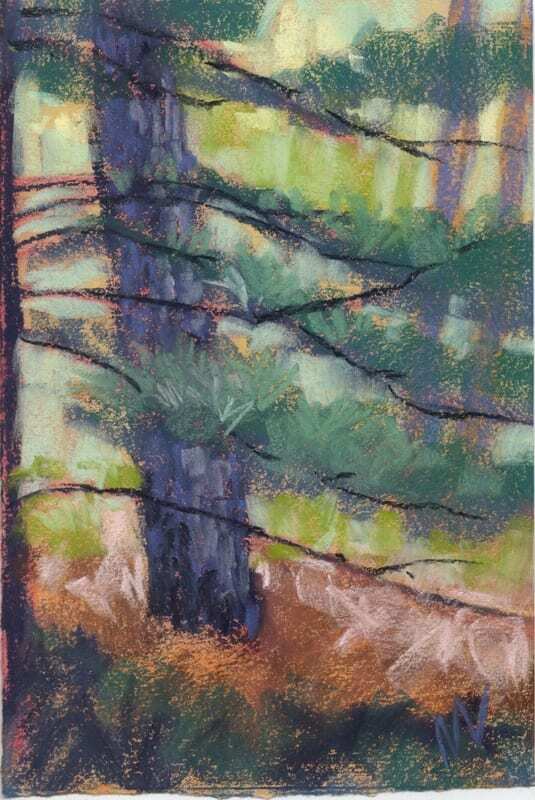 I love to walk in the Manistee National Forest. 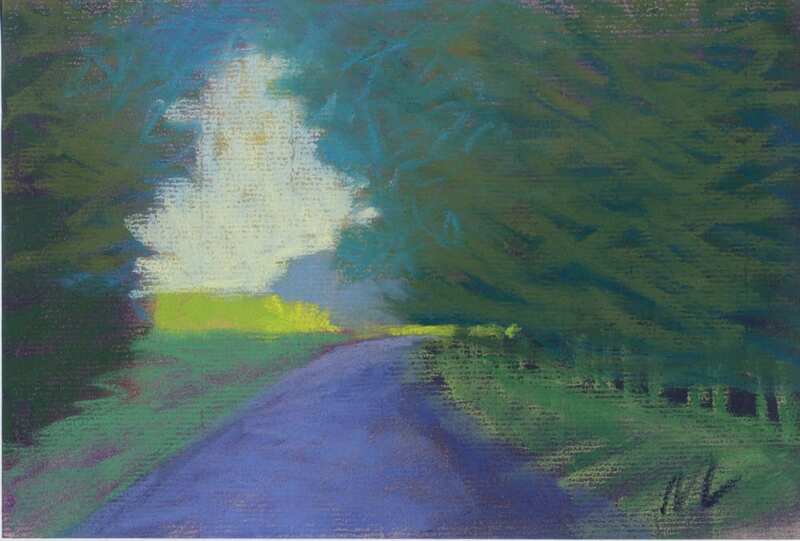 The trees make a tunnel over my head and at the end of the road there’s a bright light shining. I always feel better after spending time in the woods. 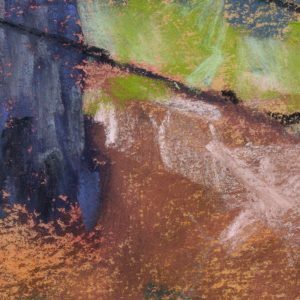 Enjoy a video of me creating this pastel! If you enjoy this blog, please sign up for my newsletter on the right. 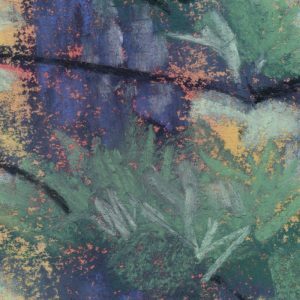 Subscribers see all my latest work and get special deals on cards, prints and canvas wraps. 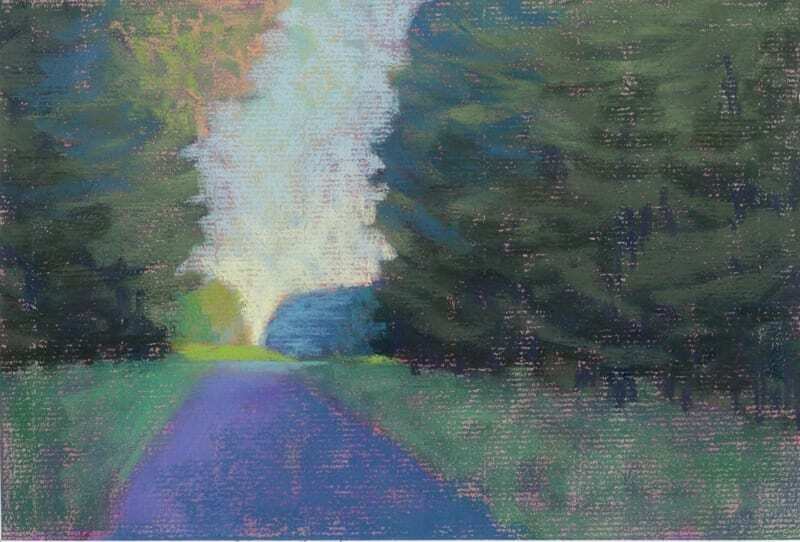 This entry was posted in A pastel a day, Manistee National Forest, painting a day, Pastels, path, road, trees, Woods scape on August 29, 2018 by Marie Marfia.